Description: This map was created by FCIT and shows the waterways of Putnam County. All major rivers, streams, creeks, lakes, and swamps are labeled. 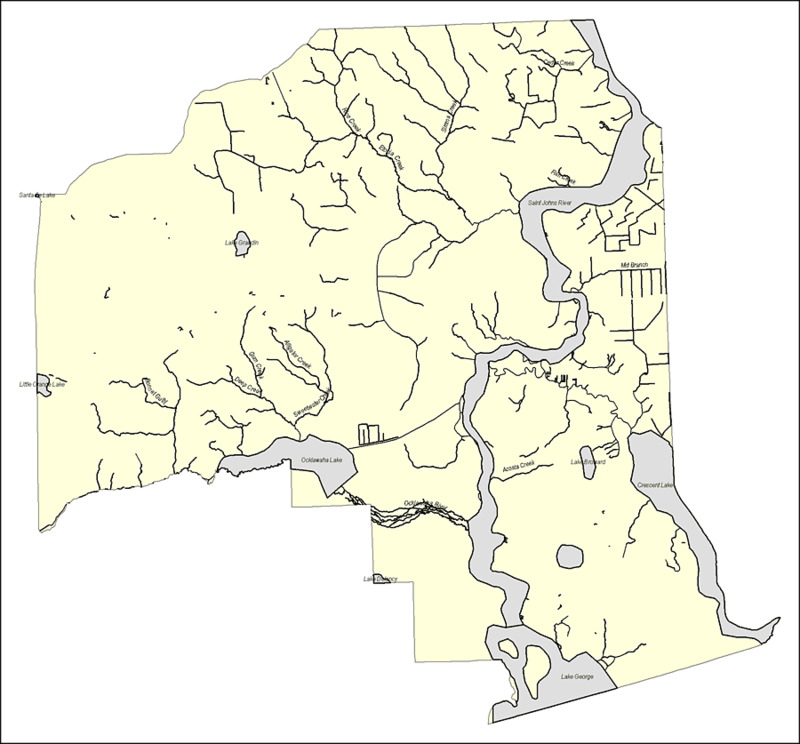 This map features Cedar Creek, Fish Creek, Saint Johns River, Mill Branch, Simms Creek, Rice Creek, Etonia Creek, Lake Grandin, Santa Fe Lake, Little Orange Lake, Bonnet Gully, Deep Creek, Gum Creek, Alligator Creek, Sweetwater Creek, Ocklawaha Lake, Ocklawaha River, Acosta Creek, Lake Broward, Crescent Lake, Lake Delancy, and Lake George.